It was a similar script with the Zubick family of London, who subjected Alma to death by neglect. The front page photo in Wednesday’s Times-Journal — submitted by homeless advocate Jason McComb — of the alarming amount of crumbling brick falling off the face of the building is cause to revisit the status of this once-proud tribute to the city’s manufacturing sector. Talking to city engineer John Dewancker on Friday, he offered insight and historical context over the events of the past five or so years. “The engineering report done by the owner’s engineer requested and required that a biannual assessment be made to keep the building safe. And to keep an eye on the structure. So we are reminding him when the time comes that it’s time to re-engage for an inspection and a report. So has McGee been fulfilling this requirement? “Subject to being reminded,” was the blunt response from Dewancker. He added there was some movement about a year ago on McGee’s original proposal. “There was a revival of ideas. (City planner) Pat Keenan has been approached in the last year with a proposal. So it’s kind of a slow simmer. We have been given hope that something will be done that will rejuvenate and rehab the property. 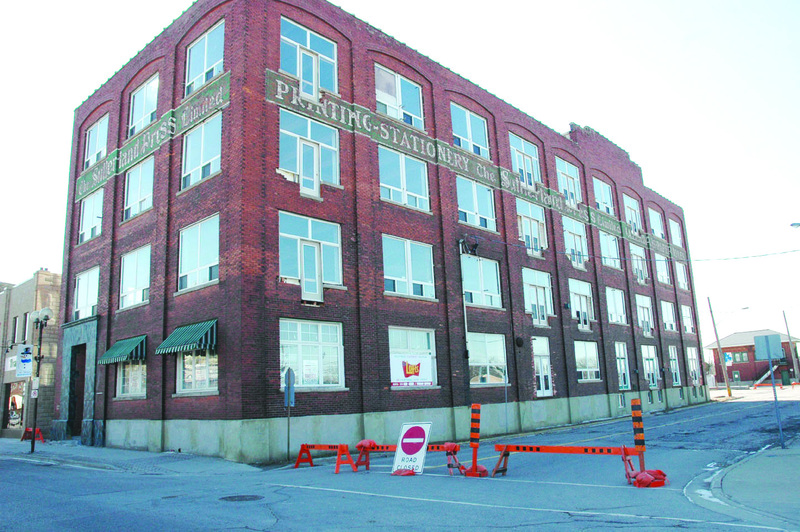 T-J readers have plenty to say about the structure that hulks over the newly established downtown railway corridor. 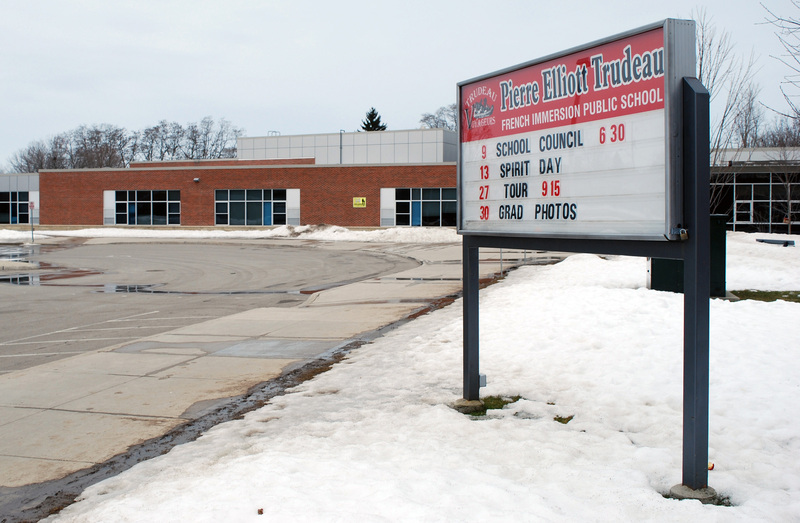 With a Port Stanley busing plan on hold for this year as a remedial option to overcrowding at Pierre Elliott Trudeau French Immersion School, city council on Monday will debate an interim solution to the parking/student drop-off woes that are a reality every single school day. City staff is proposing no stopping restrictions between 8 and 9 a.m. and 3 to 4 p.m. on school days be applied to both sides of Churchill Cres., from Chestnut St. to Simcoe St., and similarly on both sides of Brant Ave., from Churchill Cres. to First Ave. In addition, council will be asked to approve no parking at anytime on the north side of Brant Ave., from Churchill Cres. 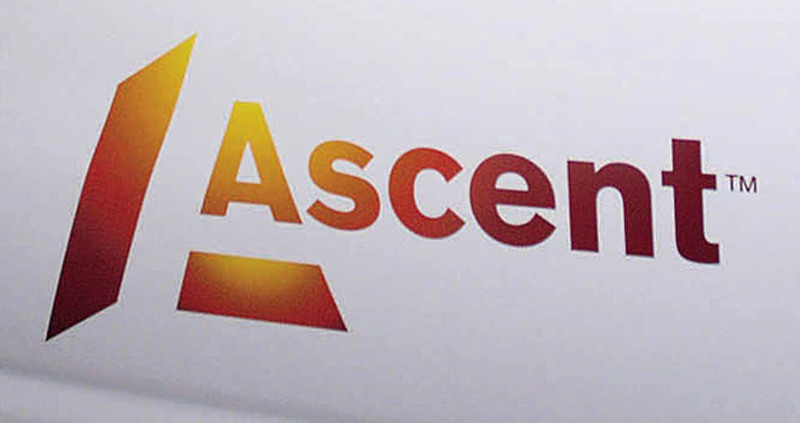 to First Ave.
Well the last two pages of the May calendar will be torn off this weekend and still no sign of the audited financial statement from Ascent, formerly St. Thomas Energy. When will the 2014 statement be made available to the ratepayers of St. Thomas, the rightful shareholders in this company? Surely the picture can’t be that dismal? The above mentioned Jason McComb picks up on his Walking in the Free World 2.5 cross-Canada trek as the sun rises Monday morning. He will be missed as he heads west to his ultimate destination in Vancouver. 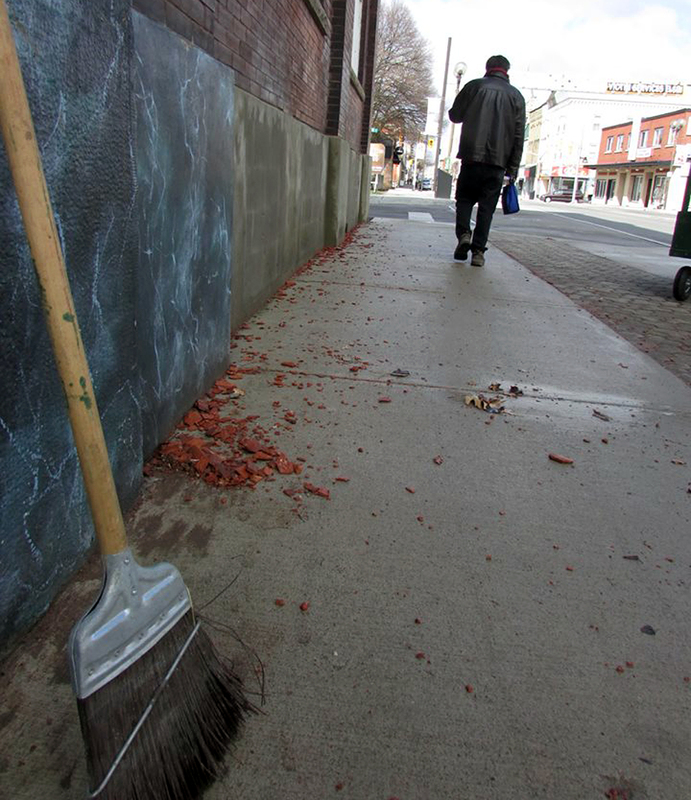 We will also miss his stellar effort in keeping the downtown core clean — a cause he is just as passionate about. 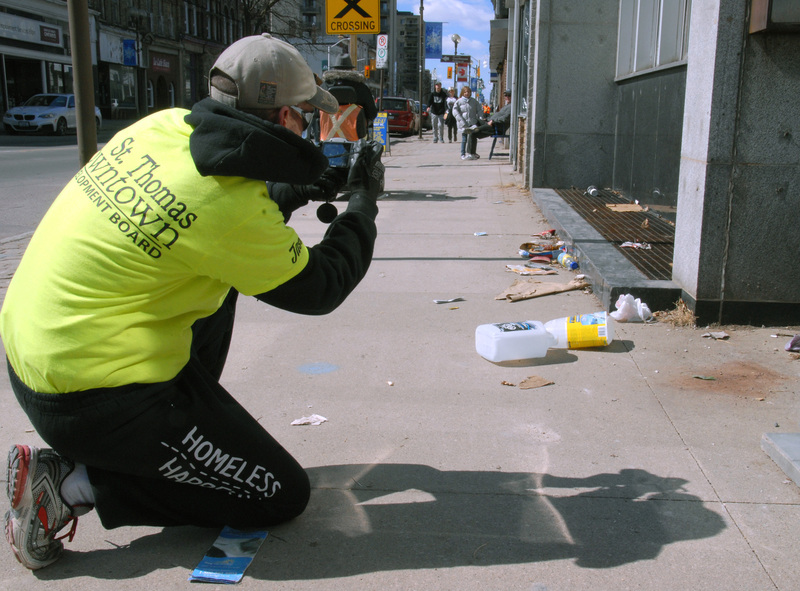 With the summer students hired on by the Downtown Development Board not on patrol until the end of June, Jason urges all residents and shoppers in the core area to use the garbage receptacles along Talbot St. and not the sidewalk. This entry was posted in 2010 Municipal election, Alma College, City of St. Thomas, City Scope, downtown development, Homeless and tagged Ascent, City of St. Thomas, City Scope, David McGee, Downtown Development Board, Jason McComb, John Dewancker, Pierre Elliott Trudeau French Immsersion School, St. Thomas Municipal Airport, Sutherland Press building. Bookmark the permalink.